Mike and I decided to visit Austria in a somewhat roundabout way (no offense, I hope). 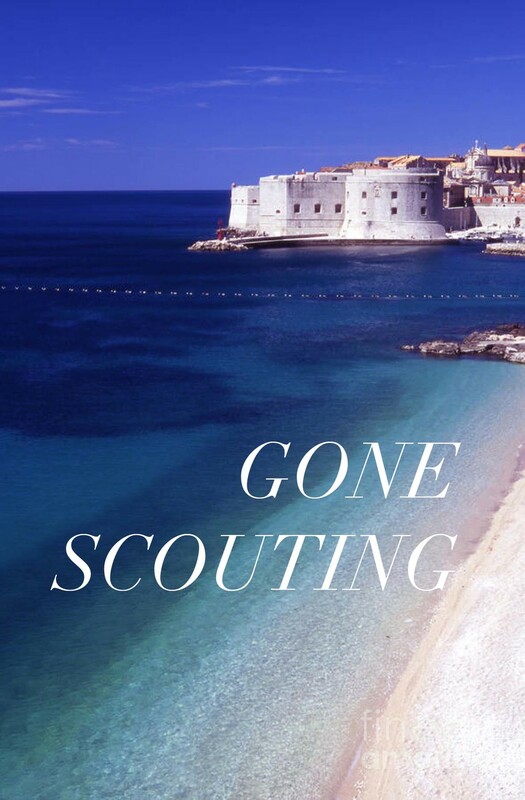 We knew we wanted to go to Croatia – that was a definite – but there was a catch. Direct flights from the U.S. to Dubrovnik aren’t available and we would have to stop somewhere before continuing on to southern Croatia. We chose Vienna as the lucky winner based on three factors: it is only about a 2 hour flight from Dubrovnik, neither of us had ever been there, and we heard very good things about the city. Decision made. I’m here to tell you that the rumors are true. Vienna is a beautiful, stately city, as one would expect of the seat of the Habsburg Empire for hundreds of years. The elegant, formal touches of the royal court are everywhere in the architecture and the number of palaces, art collections, and cathedrals you can visit is amazing for a relatively small city. 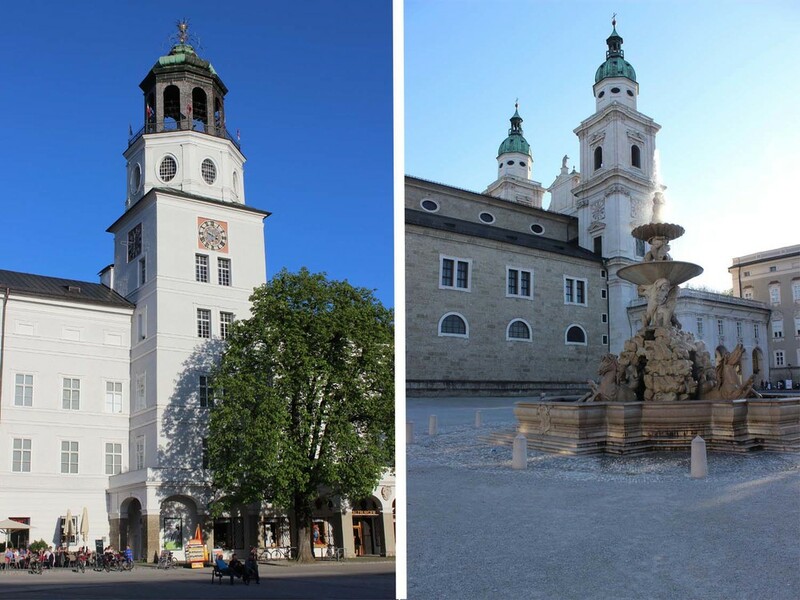 Salzburg is incredibly charming and the surrounding mountains and lakes are absolutely gorgeous. See the photo above - it doesn't look real, does it? Hotel Bristol Vienna is an old-school hotel in the best sense of the word. Multi-colored crystal chandeliers, brass fittings, and excellent service helped me channel my inner Habsburg duchess. Extra bonus: our room overlooked the Vienna State Opera House and with the windows open we could hear the strains of Madame Butterfly and Swan Lake. Lovely. Albertina is a museum housed in a former palace and displays Duke Albert of Saxen-Teschen and Archduchess Marie Christine’s (sister of Marie Antoinette) collection of drawings, several Imperial staterooms, as well as modern additions to the collection of works. Notably, the Albrecht Durer “Young Hare” (1502) was on view and the detail is astounding. I’d recommend it, particularly if your time is limited, since the collection is a manageable size for an afternoon. Spanish Riding School Imagine a traditional, American state fair horse ring if an Emperor designed it - chandeliers, statues, columns - and you’ll start to get an idea of the Spanish Riding School. The performance (see 8:00) is classical dressage - like ballet for equestrians - captivating and amazing for the graceful strength of the horses and riders. Nachtmarkt Vienna A paradise for anyone who loves farmer’s markets, food stalls, and antiquing. We wandered through around lunchtime on a Saturday and enjoyed (attempting) to decipher the German signage and wading through the flood of locals out on a gorgeous spring day. Another excellent people watching opportunity. 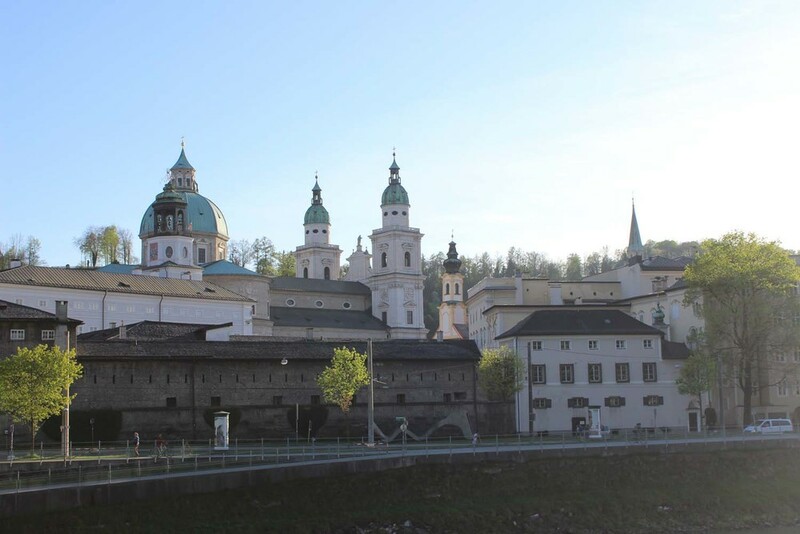 Sound of Music Tour Two things - Salzburg should be a destination unto itself, and I have a love/tolerate relationship with tours. They’re helpful if time is limited, but then you’re on someone else’s schedule. That said, this one did allow us to make the most of our one day in the city, see 90% of the locations from one of my all time favorite movies, plus some breathtaking views of Alpine lakes and mountains. Pretty good work for just 10 hours. Neni am Nachtmarkt Israeli/Middle Eastern food in Vienna? Sure, why not. Another excellent recommendation from our Viennese friends, Neni is right in the heart of the Nachtmarkt and served as a welcome oasis on our first jet-lagged day. Loved the couscous salad with chicken, pomegranate, and goat cheese. Figlmüeller When in Wien one must have Wiener schnitzel. We were directed to Figlmüeller by some Viennese friends and they were 100% right. We shared a giant, beautifully crispy schnitzel and a mixed salad (greens, carrots, sauerkraut, and potato salad) dressed lightly in vinaigrette. Definitely make a reservation here! Mayer am Pfarrplatz is a winery, restaurant, and wine garden all in one. It was too cool to sit in the garden, but the cozy atmosphere of the restaurant made us feel right at home. Try a flight of the winery’s whites and reds, and if there’s something called “Pie Plant Cake” (aka Rhubarb) on the dessert menu get that too. Sacher Café Vienna Vienna is known for its café culture, and this is a classic example. Sachertorte (chocolate cake) is the café’s namesake specialty, but we preferred the apfelstrudel (essentially apple pie.) Note of caution: ordering “coffee” in Austria seems to equal “double espresso.” A “café au lait” is more likely to approximate an American brewed drip coffee with steamed milk. Learned that one the hard way, twice! Salzachgrill We didn’t set out to visit all the entire Hotel Sacher chain, but were lured in by the Sachergrill’s terrace. It overlooks the Salzach River and we had a relaxing lunch, did some people watching and sipped a local beer called Stiegl Lemon Radler and another local beverage called Almduddler (aka yodeling juice). I'm obsessed with both now. Remember the days of AOL Instant Messenger? Back in college - when people still used desktop computers and only 1% of my friends had cell phones - posting a witty, funny, thoughtful away message was important. It took thought and originality to craft the perfect out-of-office reply for people who didn't have offices yet. Since this afternoon begins our European adventure, I thought I better leave the blog version of an away message. It's only courteous, right? As you can tell, I didn't bother with any of witty, thoughtful stuff. Just to the straight to the point! We'll be in four countries and five cities over the course of the next 10 days - hello passport stamps! - and I'm planning to photograph, Vienna, Salzburg, Dubrovnik, Mostar, and Frankfurt with in an inch of their lives. I also hope to bring back lots of memories, stories that will live on in Messersmith family lore, and scout some fun places to share with you for your next adventure. I can hardly believe today is the day, but the suitcases are packed (lightly! ), Maddie is off in Pennsylvania staying with her 'Grandparents,' and the apartment hatches have been battened in preparation for our departure. So, we're ready to go! Hope you have a great week - I'll be back here at Goldfinch & Scout on April 16th!